Hopefully the sales or service experience with your car dealer went well. But, too often, they don’t. Now what? The advice I give you applies to all business transactions, not just car dealerships. Your first step should be to communicate your complaint ASAP to the General Manager or, preferably, the owner. Be sure that you are talking to the real owner or the real general manger. A General Manager is over all employees in the entire company. A general “sales” manager is not a General Manager. If you can’t reach the owner (Many car dealerships are either publicly owned or owned by absentee owners), ask to see the General Manager. Often times the owner or General Manager is not aware of everything that goes on with all of their customers and employees. They might have new employee that should not have been hired or received inadequate training. Or, they may simply have a “rotten apple” that should not be working there. The ease and speed with which you can meet and speak to a General Manager or an owner is a pretty good measure of the integrity of the company as whole. If the owner or General Manager cares enough about her customers to allow total access, it is probably a very good place to do business. In fact, it is a good idea to find this out before you do business. If you cannot reach the owner or General Manager, contact the manufacturer who franchises the dealership. Car dealers have a contract with the manufacturer called a franchise agreement and this contractual agreement requires that they treat their customers with courtesy, efficiency and integrity. Most manufacturers have a customer hotline that allows you to call and register a complaint directly. The owner or General Manager of the dealership will be made aware of your complaint. As you might guess, the manufacturer has quite of bit of clout with their dealer. If a dealer does not live up to his side of the contract, his franchise could be canceled or not renewed. The 4th step is to call the Florida Department of Motor Vehicles, DMV, and/or the Florida Attorney General’s office. These are extreme steps to be used for serious, even illegal, activities. The DMV has the power to suspend or cancel a dealer’s motor vehicle retail license, putting him out of business. The Attorney General’s Office can file criminal charges and assess large fines, even jail terms. The DMV phone number is (850) 617-2000 and the Attorney General’s phone number is 866-966-7226. . This website provides you with three forms to download…from the Florida Attorney General, Florida Department of Motor Vehicles, and the Florida Office of Consumer Affairs, www.FloridaCarDealerComplaints.com. Your last resort is to contact an attorney. I list this last because hiring an attorney just about eliminates the possibility that you can quickly, amicably and inexpensively resolve your differences with the car dealer. Be very careful which attorney you choose. Try to choose one that is primarily interested in helping you and not in generating large fees for him. Under the Florida Deceptive and Unfair Trade Practices Act, an attorney is entitled to his fees and costs from the defendant in a lawsuit if he wins. These fees can be much larger than the amount of your claim, motivating an unethical attorney to spend more time than is needed and dragging out a case to generate more fees than are necessary. This can be very dangerous for you because the car dealer’s attorney’s fees run roughly parallel to your lawyer’s and you can be held liable for those if you lose the case. However, there are honest and talented consumer advocate attorneys that will counsel with you at no charge. They will tell you whether or not you have a lawsuit you can win. If you do, the car dealer will pay your attorney’s fee. Hopefully you never have to resort to the final step of hiring a lawyer. In trying steps one, two, three and four try to present your complaint as concisely and politely as possible. You have every right to be angry when you are taken advantage of, but try to let your anger subside before you speak to or write to someone about your problem. We all react negatively to someone who is profane, raises his voice, or is sarcastic. Your goal of communicating and resolving your complaint is best reached by communicating clearly, politely and concisely. In my columns over the years, I’ve always advocated carefully choosing the car dealership that you buy your vehicle from or allow to service it. I still believe this is important. In fact, I’ve published a list of dealers that I recommend you buy your car from and a list that I recommend you avoid. You can access that list at www.GoodDealerBadDealerList.com. We've all visited a restaurant or retail store and had a terrible experience with a waitress, sales person, or other employee and never returned. Yet, we’ll have friends recommending the same place that we swore never to patronize. We condemned an entire company because of one person. I also wrote a column a couple of years ago in which I suggested that you carefully choose the individual who advises you and sells you service on your car. These individuals are really commissioned sales people who sell you service just like car sales people sell you cars. Unfortunately most dealerships call them something else like “assistant service manager” or service advisor. As I was rereading this old column, it occurred to me that the same recommendation applies to all companies, not just car dealerships and it applies to all departments in a company. Whichever car dealership you choose, take the time to pick and choose those individuals you deal with. Car dealerships, just like other organizations, are nothing more than the sum of their parts…their people. You should get to know the person who sells you service and, if you don’t like that individual, ask for another person to handle your service requirements. This requires a little courage because we don’t want to offend the person we originally dealt with. If this makes you uncomfortable, the second best thing is to ask the manager of the dealership to recommend their best person. Tell the manager that you would like to deal with the sales or service person that has the “highest customer satisfaction rating”. All dealerships and auto manufacturers measure this for their sales and service people. There’s a new customer satisfaction measurement that’s slowly replacing the customer survey method. This is called customer retention. It’s a measure of the percentage of customers that return to a dealership to buy another car or additional service. This trumps customer questionnaires because it cannot be “rigged” by the dealership or sales person. Paying money or giving free gas for good surveys is a common practice with car dealers. When you buy a car, don’t settle for the first salesman who approaches you. For example, if you’re a woman you may feel more comfortable dealing with another woman. Or, if your native language is Spanish or Creole, you may feel more comfortable with one who can converse with you in your native tongue. Don’t be shy about asking and don’t feel bad about hurting the feelings of the first sales person. An automobile is the 2nd largest purchase most people make and it’s very important that you feel comfortable with the person selling it to you. Furthermore, if after dealing with your sales person for a while, you think you made a bad choice, ask to speak to the sales manager or general manager. 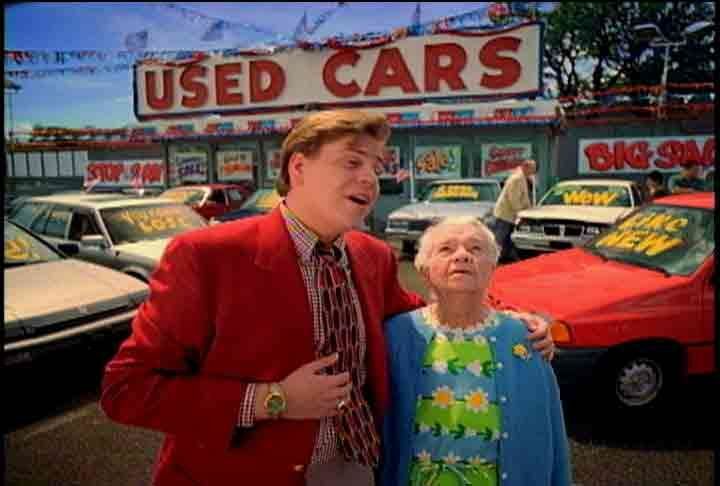 Believe me, car dealerships “desperately” want to sell you a car and no sane sales manager is going to lose a sale because a prospective customer doesn’t like or trust the sales person she’s dealing with. He will handle your sale personally or choose another sales person you do feel good about. Car dealerships have other departments including parts, finance and insurance, accounting, and some have body shops. My same recommendation applies to all departments. A word of caution, when you ask to speak to a manager, be sure he or she really is a manager. Car dealerships are notorious for calling rank and file employees managers to trick the customer. My purpose in writing this column is in realization of the fact that there are no perfect companies, especially car dealerships and that includes mine. I employ 156 individuals and I would be less than candid if I didn’t say I might have a few “rotten apples” in my barrel. Unfortunately, I don’t know who they are and finding them is a work in progress. The same thing applies to all companies including car dealerships. In my list of recommended dealers, there are some employees of those dealerships who would take advantage of you but most would not. In those dealerships that I recommend you don’t buy your car from, there may be a few honest, courteous employees. Then there are all the dealerships that I don’t put in either category. Your odds of finding the right individual are much better if you patronize a good company or car dealership, but don’t totally let your guard down. Just stay away from the ones that I recommend you don’t deal with. In every organization there’s a tipping point. A great company reaches a critical mass of good employees and as their reputation grows, more good employees from other companies seek to be employed there. Honest, hardworking, courteous people enjoy working in an environment where others are like them. The same holds true for “evil” dealerships and bad companies (those on my “don’t buy” list). A good person with a conscience has a very difficult time functioning in an environment where, from top management all the way down, the design is to trick and take advantage of customers. These few good people don’t last long in evil dealerships and flee to a place where they can treat their customers in a manner that lets them sleep at night. Florida has no law requiring car dealers to disclose national safety recalls on used cars sold to their customers. This has always been bad, but in light of the unprecedented Takata air-bag inflator recall (currently affecting 75 million vehicles in the U.S. and rising), it should be mandatory for all licensed Florida automobile dealers to fully disclose to their customers when a defective Takata airbag is installed in the vehicle they are selling. I’ve communicated my position directly to the Florida Automobile Dealers Association, and they are aware of this serious omission in Florida’s laws. 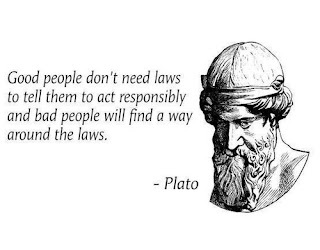 Unfortunately, legislative action, as you well know, is always a slow process if it ever happens at all. What is required in this case is an emergency executive action by you, the governor of the state of Florida. I can assure you that very few Florida automobile dealers are voluntarily disclosing safety recalls affecting the used cars they sell. As I write this letter, there are Floridians unknowingly buying cars with defective Takata airbag inflators that could possibly explode on impact, firing metal shrapnel into their bodies. There have already been several deaths across the country attributed to these faulty inflators. The sad fact is that most dealers don’t check these vehicles for recalls because it takes time to have the recalls performed and “time is money”. Recalls can only be performed by franchised new car dealers of the make that is recalled. Franchised car dealers prioritize recalls for their inventory cars and for their customers’ cars. They are also dealing with long waiting lists of these cars awaiting the requisite parts. With the Takata airbag inflator recall, the wait time is about about a year because of the lack of availability of parts. No car dealer is going to let a used car sit on his or her lot for a year! Because disclosure negatively impacts the affected vehicles' values, car dealers are caught between a rock and a hard place. If they retail the cars to customers, they have to slash the selling price and if they sell them at the wholesale auction they have the same problem. Florida consumers will also be adversely affected, as car dealers will not be able to offer as much money for trade-ins under this recall since the dealer knows he or she can’t resell it for as much as they could with a safe airbag. This presents an entirely new and different problem…an economic liability question. Everyone agrees that Takata is largely responsible for the reduction in value of the 75,000,000 vehicles with dangerous airbags. However, Takata is rumored to be on the verge of bankruptcy and/or selling out. This leaves the auto manufacturers with, potentially, all of the liability. The only parties that clearly have no responsibility in this are the owners of these affected cars and the dealers who disclose the defective airbags. Unfortunately, these are the only two parties that currently bear all of the economic loss.